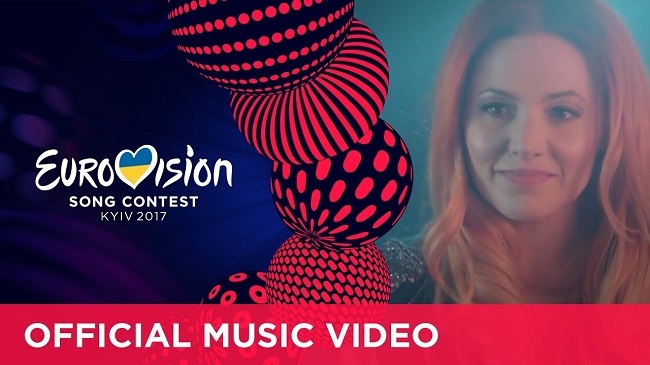 SMRTV have just uploaded the San Marinese entry to the Eurovision Song Contest 2017 in Kyiv. It’s a duet and one half of the male-female duet is a known face to many a Eurovision fan, it’s no other than triple San Marinese representative: Valentina Monetta! Her duet partner is Jimmie Wilson. Jimmie is from Detroit, Michigan in the United States. As a child he sang in a gospel choir, he went to study acting in Hollywood and landed himself in Michael Jackson’s musical ‘Sisterella’. He has played the role of Barrack Obama in the musical ‘Hope’ in Germany and appeared in the Polish music show ‘Must Be The Music’. The music was written by Ralph Siegel and the lyrics by Steven Barnacle & Jutta Staudenmayer. Valentina and Jimmie will perform the song in the second semi-final on May 11. What is your opinion on this entry? Svala will represent Iceland in Kiev! Russia send Yulia Samoylova with ‘Flame Is Burning’!